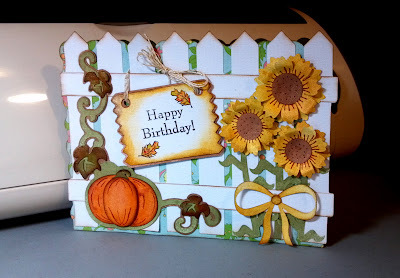 I made this birthday card for my Mom using a combo of SVGCut's Chamomile Friendship Cards and Caramel Apple Pie kits. Both kits are really awesome and I definitely recommend buying them. 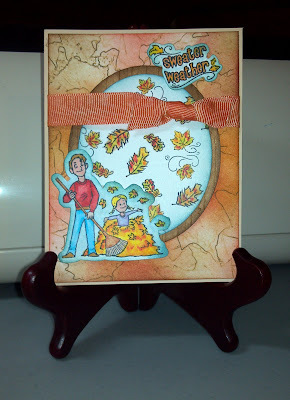 I also used the leave stamp from one of the Punkin' Patch autumn stamp sets, I love their stamp sets!! I'm starting my Christmas Cards and I really like the panel look with the different pattern paper, so I used the ribbon svgs from SVGCuts Christmas Cookie Party Collection, in fact all the cuts on this card are from that kit, even the buttons. The stamp is from Punkin' Patch Holiday Traditions stamp set. I seen this cracker box die and really loved it so I made my own in Make the Cut. You can fit a mini candy bar with some tootsie rolls, even a tootsie lolipop fits. I bet you can even use it for a single cake pop. 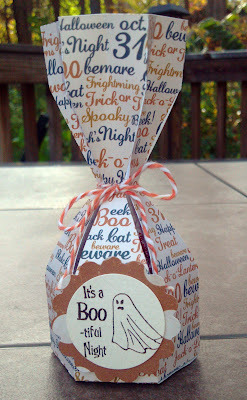 The cute stamp saying is from My Thoughts Exactly and the ghost is a Martha Stewart stamp from Michaels. The paper I used is digital Witch's Brew, my printer was low on yellow ink so it printed more brown, but it's actually more orange, I really like this digital set. The twine I made, I colored one white piece of yarn with distress inks and twisted with another white piece. I've uploaded both the MTC & SVG version, the Make the Cut version was done in 4.0.4. I'm not sure where I downloaded this tree from, but I just love it. 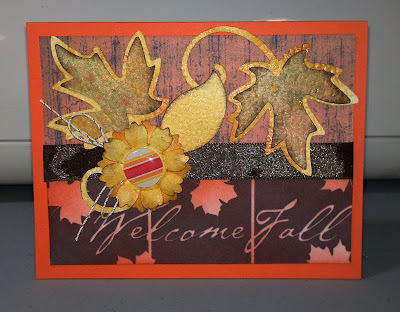 I joined the leaves together in make the cut and made a stencil out of them, so I could use distress inks to create this autumn look. I really like how it came out. The stamp is from Punkin Patch's Heirloom Traditions set, I scanned and brought it into make the cut so I could have a shape of the stamp and also a background shape. 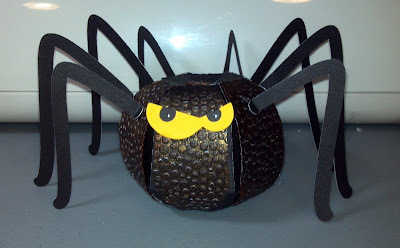 SVGCuts has the most adorable set this week, Party on Elm Street and these spider legs and eyes are part of the kit. I didn't have a small pumpkin as the one Mary used so I used the small pumpkin from the Pick a Pumpkin Kit, worked out very good. I used black paper and then sprayed the body pieces with glimmer mist and then embossed. 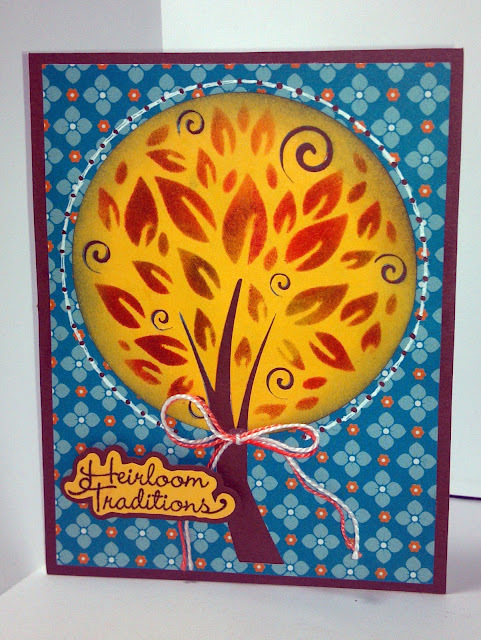 A quick card I made using the leaves and flower from SVGCuts Caramel Apple Pie Kit. I used digital paper for the background paper and inked the bottom part with distress ink. I used glimmer mist on all the cuts. 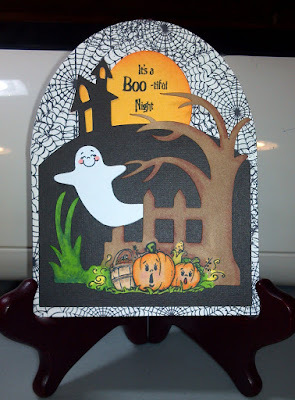 I received my new stamps from Punkin' Patch and wanted to try them out. I'm really not a big stamper, I'm more of a diecut scrapper, but I really love how Mary from SVGCuts is incorporating her svg's and stamps together. Here is a card using stamps from Autumn Air and the little leave from Heirloom Traditions. I created the cutout of the man raking and sweater weather on my scanner and imported it into Make the Cut and made a shadow so I could stamp on the cut and not have to worry about cutting it out. The oval is stamped with the leaves from both sets. I printed the background paper and inked it with Tim Holtz Distress ink. 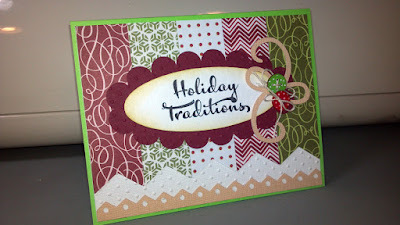 I love this card I saw on Pinterest made by Lisa, (Myprincess-peaches) over at scrapbook.com, here is a link of her card, http://www.scrapbook.com/gallery/image/card/2998025.html , just gorgeous!! She made it with all scraps, something most of us have a lot of. I really wanted to make this card, but I didn't have the green and red circle paper, so I punched out 1/2" circles in red and green and glued them to white paper strips, used clear embossing powder and glitter on the green on green one and then ran them all through my cuttlebug with the swiss dots folder, it came out great, you wouldn't even know the dots were added. 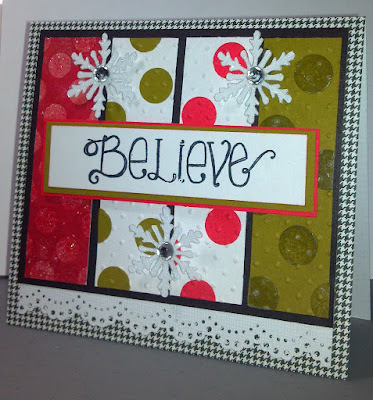 Here is my version of the card, I used my new Punkin' Patch Stamp Set Gingerbread Kisses for the Believe. No cutter with this card, just a stamp from Martha Stewart's Elegant Witch set. I used a technique from Splitcoaststampers called Stained Mosaic for the bottom strip on the card, for the top I embossed using a cuttlebug folder. I used Martha Stewart drippy goo punch for the top edge. 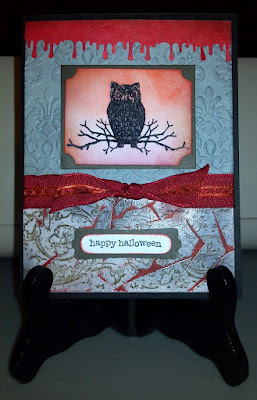 My Tim Holtz Fall distress inks came in the mail so I used them on the background of the owl. 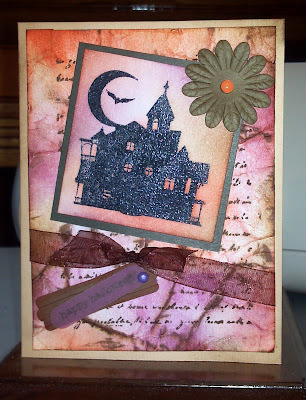 I like how this card came out, very eerie, perfect for Halloween! !